Jacques Marie Mage sunglasses embody the esteemed brand founded by Jerome Mage. The brand specializes in the micro-production of limited-edition, top quality eyewear, fashion, and accessories for only the most fashionable. The Jacques Marie Mage design goes beyond all present-day norms and uses a unique range of precious materials, deep colors, and bold geometric forms. 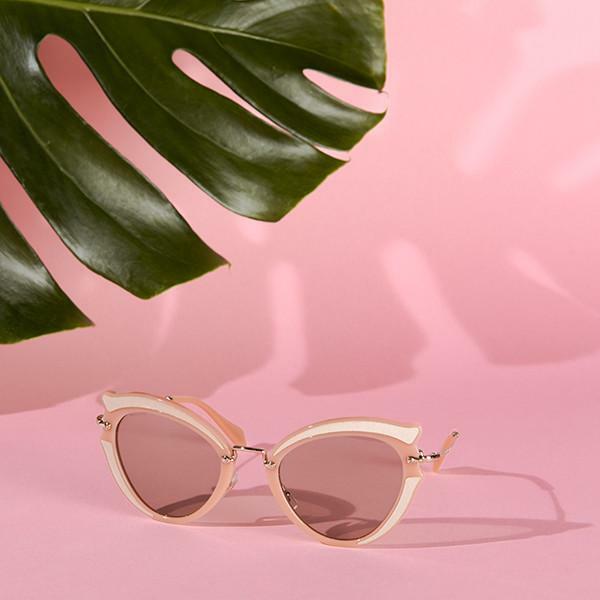 JMM also creates all of its products using only fair and ethical production methods, making their spectacles truly one of a kind. Designer Eyes is proud to carry a brand as remarkable as Jacques Marie Mage eyewear. 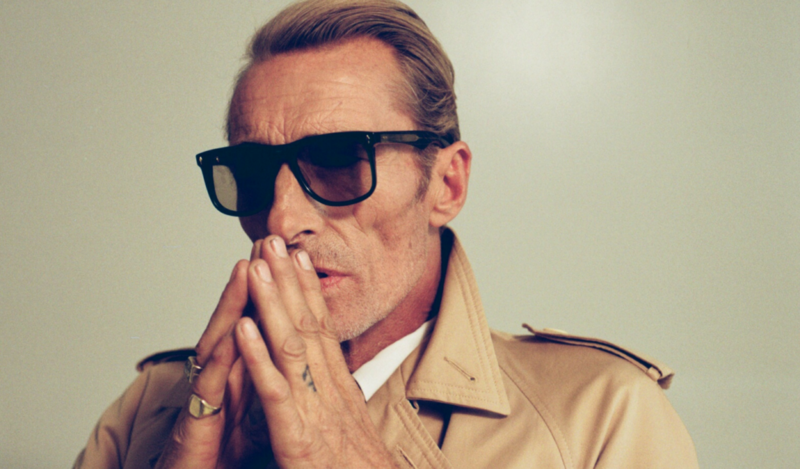 The Jacques Marie Mage Wyatt sunglasses are truly a limited edition piece since only 350 pieces have been produced. This model features a 100% beta titanium antique silver frame and beta titanium temples. It also has a smoke tortoise lens insert and a monoblock titanium hinge construction. The lenses offer 100% UV protection, making the Wyatt not only fashionable but practical. 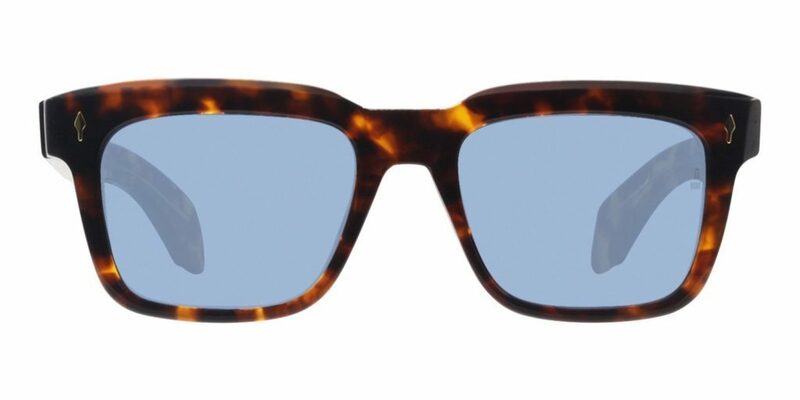 The Jacques Marie Mage Torino sunglasses have a retro vibe to them and their blue lenses add to the cool feel. 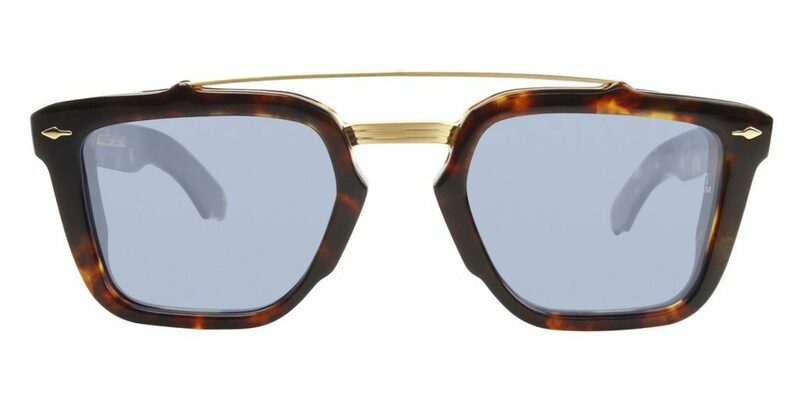 These striking sunglasses have a 60’s angular design and a frame made from thick acetate. 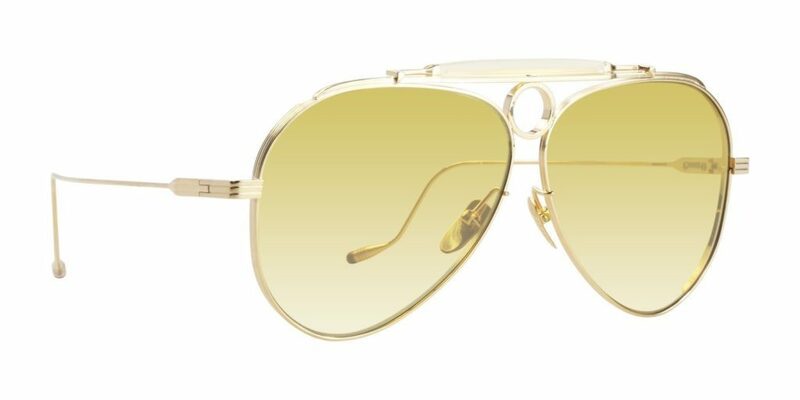 Additionally, they feature the signature JMM arrowhead in 18 karat gold and a gold custom hairline, along with a gold tension-secure custom hinge. 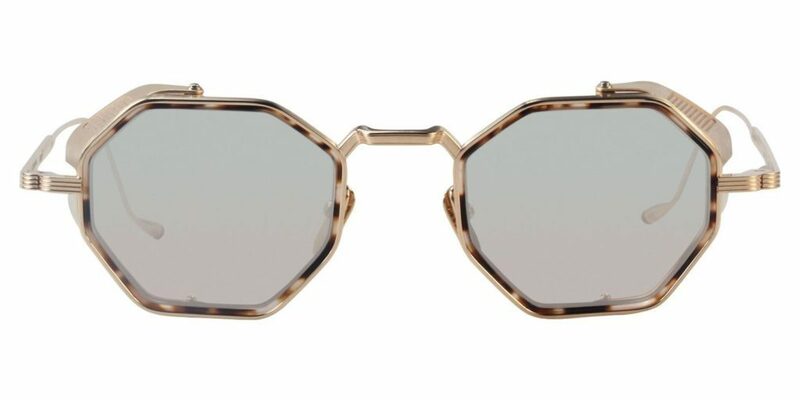 The lenses offer 100% UV protection, which makes these lavish sunnies that much better. 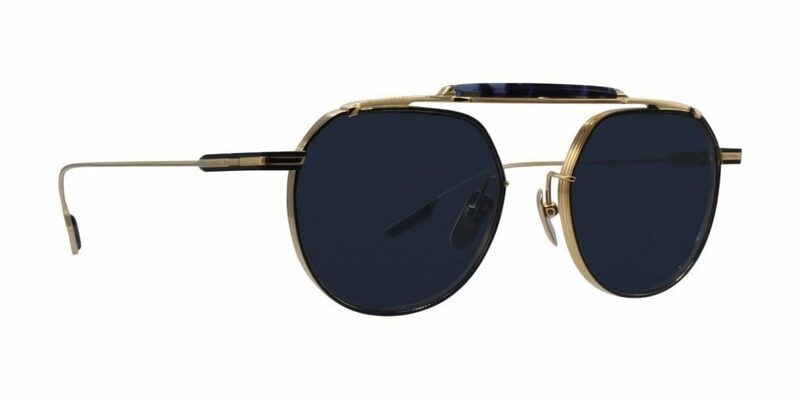 The Jacques Marie Mage Ringo sunglasses have a double-layer bridge and a circular lens shape with a beta titanium frame. The temples are also made from beta titanium and the hinge is constructed from monoblock titanium. The Ringo features a custom wire hairline detail and custom nose pads. 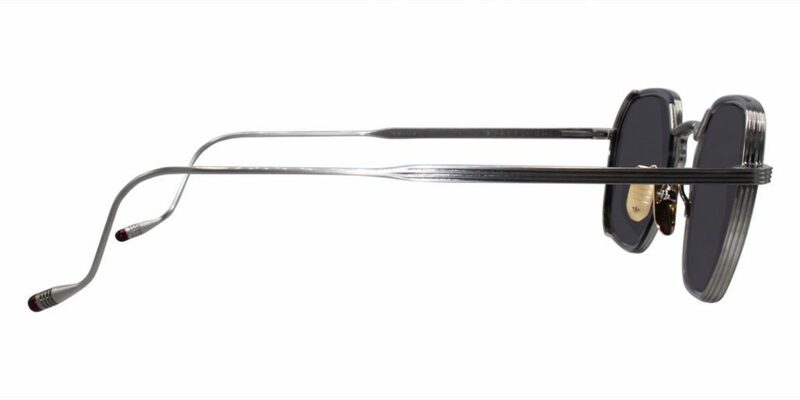 Like all JMM spectacles, these have the brand’s logo and hairline engraving, giving them the true JMM look. 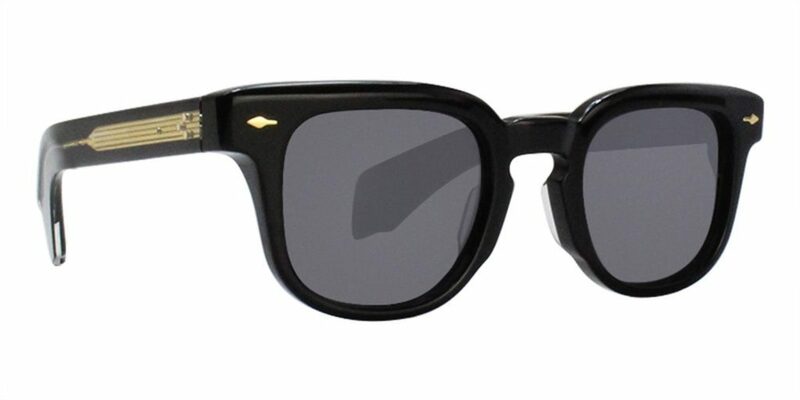 The Jacques Marie Mage Parker sunglasses have sleek 100% beta titanium frames with gold detailing and black enamel. 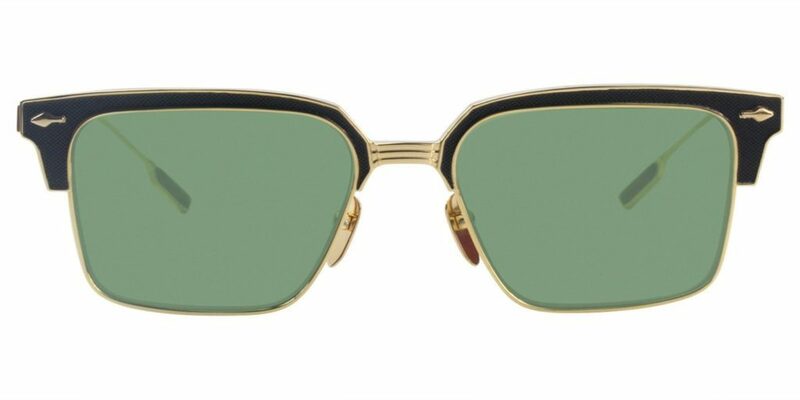 They have a 60’s angular design paired with a rectangular lens shape, giving way to a unique look. Additionally, they have beta titanium temples and a monoblock titanium hinge construction. Overall, these shades have a trendy and stand-out look. The Jacques Marie Mage Borodino sunglasses are constructed from pure titanium and are paired with titanium shields and a black acetate frame. They feature sterling silver detailing, which make them a grandiose statement piece. Only 500 pieces of these powerful frames were produced, making them not only eye-catching but limited-edition. 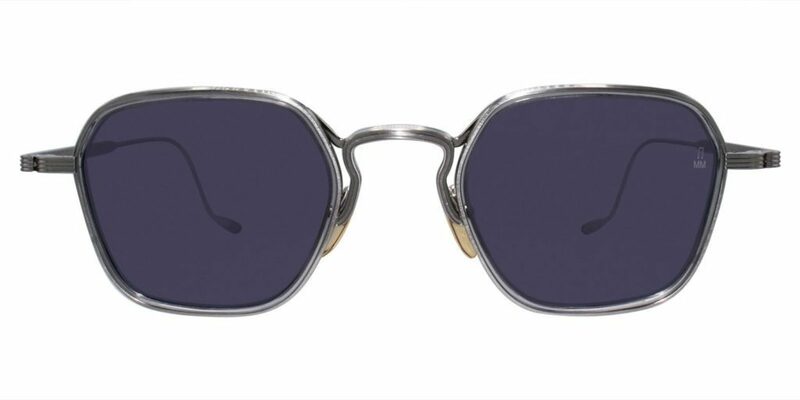 The Jacques Marie Mage Quanah is a pair of titanium built aviator sunglasses that have been named after one of the greatest Apache chieftains of the 19th century. 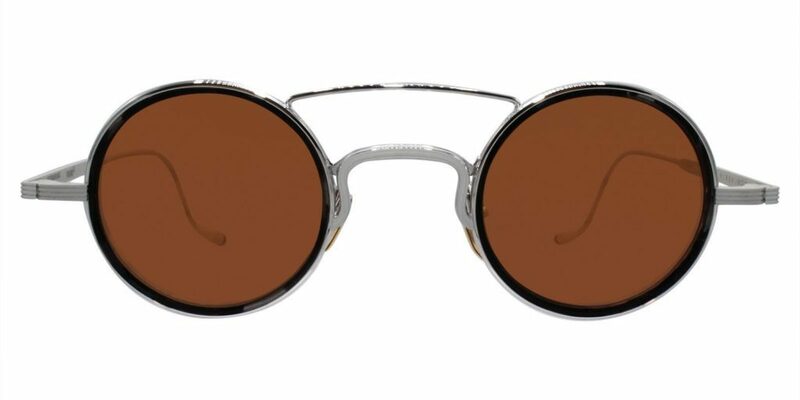 They have a pantoscopic lens shape with an acetate top bar and monoblock titanium hinge construction. They feature a custom hairline detail and custom nose pads. Only 350 pieces of the Quanah were produced, making them a stunning limited edition pair. 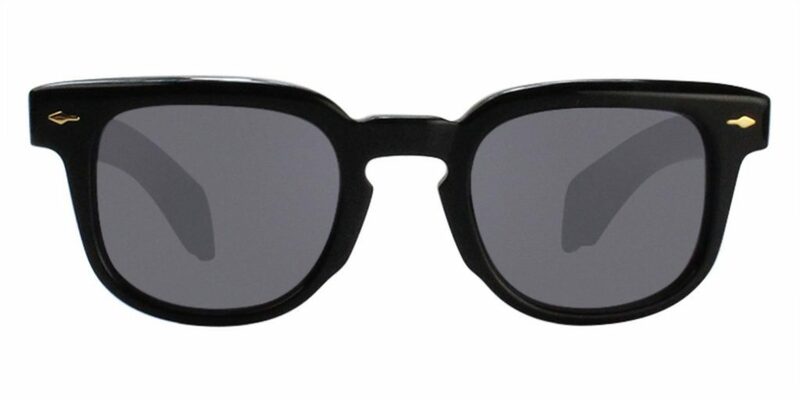 The Jacques Marie Mage Arapaho are bold sunglasses named after the Great Buffalo Hunters of the Plains. They have a flat rectangular lens shape with titanium double bridge construction and an acetate frame. The detailing of this pair is gold and the signature JMM arrowhead is made from 18 karat gold, making it truly pop. 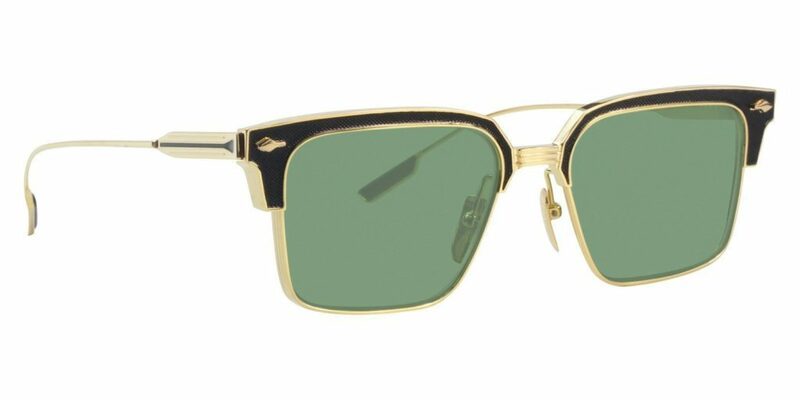 Only 350 pieces of these sunglasses were produced, so not only are they stunning, but hard to come by, as well. 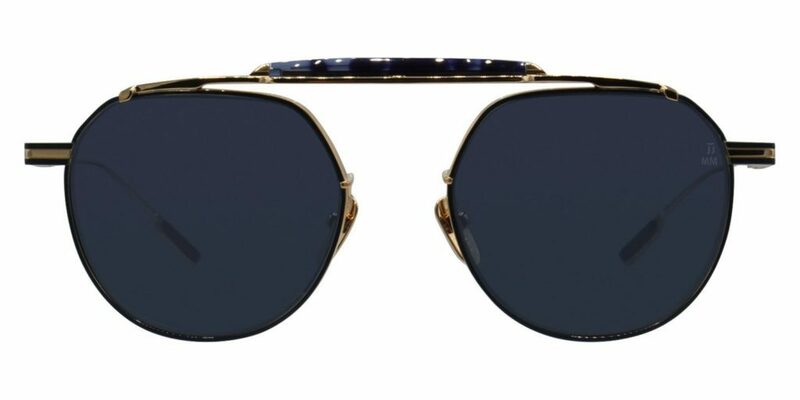 The Jacques Marie Mage Gonzo Duke sunglasses are a pair of iconic aviators made exclusively by JMM in collaboration with The Gonzo Foundation. 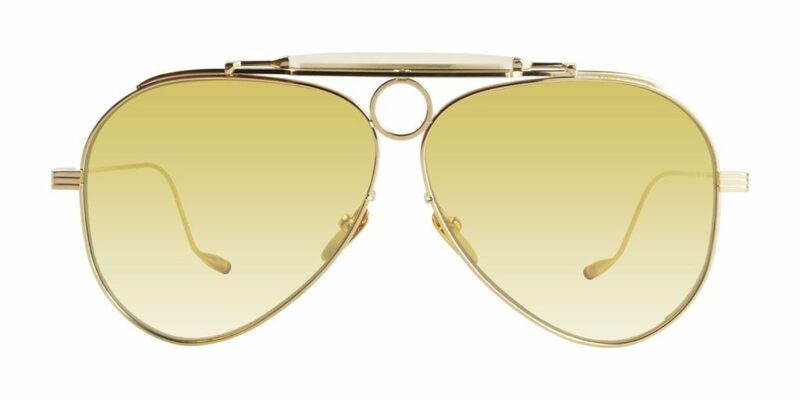 They have an iconic 60’s aviator shape that’s inspired by Hunter S. Thompson, the infamous outlaw writer, and a 100% beta titanium gold frame. 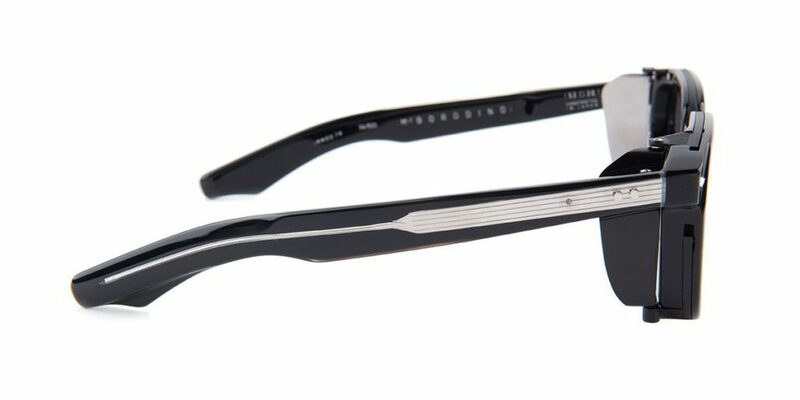 They feature an acetate top bar, beta titanium temples, and monoblock titanium hinge construction. Only 250 pieces of the Gonzo Duke were produced, so these standout shades are only available to the select few who are lucky to get their hands on them. 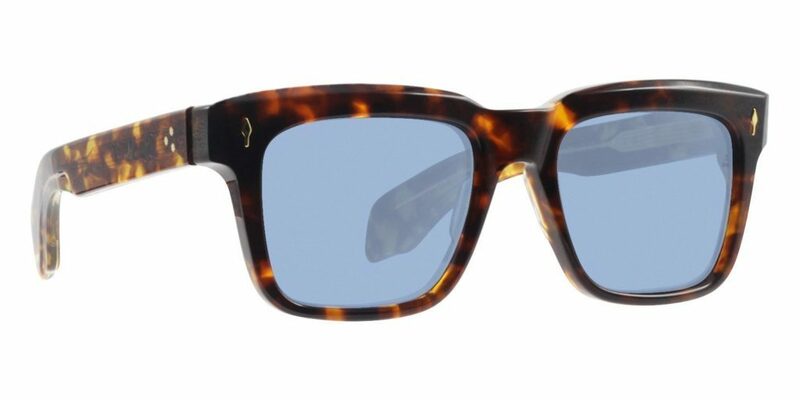 The Jacques Marie Mage Jax sunglasses pay homage to the mid-20th century’s art elite with their 50’s inspired frame and soft rectangular lens shape. 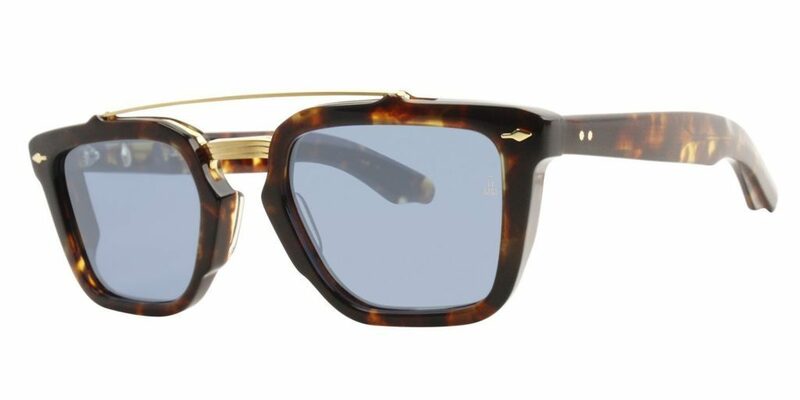 Their black acetate frame is adorned with precious gold metal hardware and the signature JMM arrowhead front pin is featured in 18 karat gold. 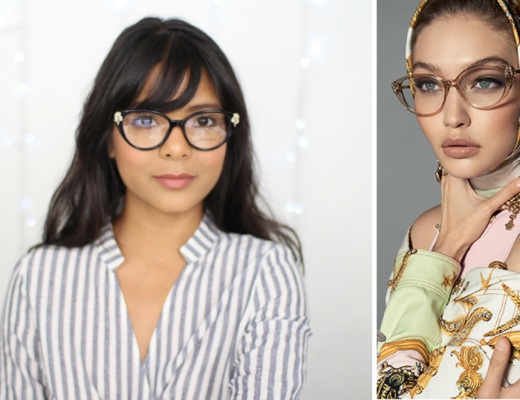 Only 500 pieces of these bold sunglasses were produced, so getting your hands on these vintage 50s-style frames is no easy feat, but lucky for you, Designer Eyes has them. 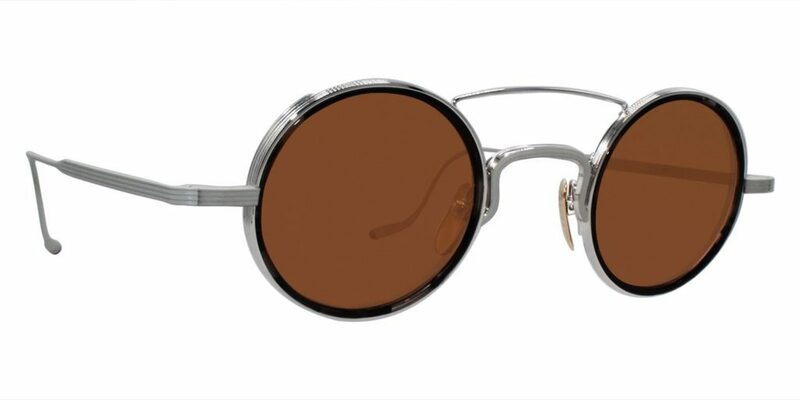 The Jacques Marie Mage Quatro is a pair of octagonal frames that break all barriers. These shades are named after rock ‘n’ roll trailblazer Suzi Quatro and are made from a 100% beta titanium rose gold frame. 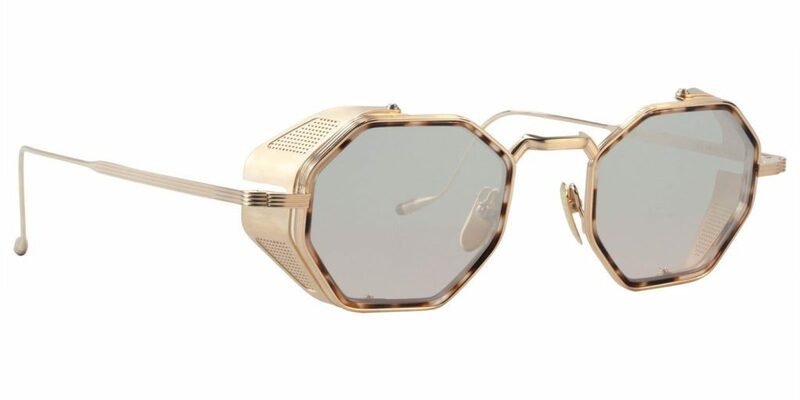 They have a rose tortoise lens insert and also feature monoblock titanium hinge construction. The lenses of these sunglasses offer 100% UV protection, making them both chic and shielding. Only 300 pairs of the Quatro were produced, giving way to the true exclusivity of JMM. Like what you see? Shop the entire Jacques Marie Mage sunglasses collection by clicking the link here! Next Post Are Dita Frames Made in Japan?